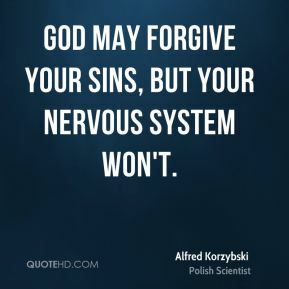 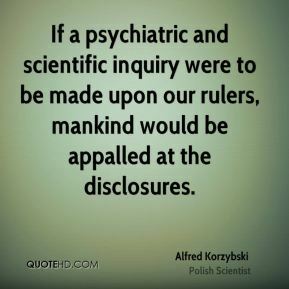 If a psychiatric and scientific inquiry were to be made upon our rulers, mankind would be appalled at the disclosures. 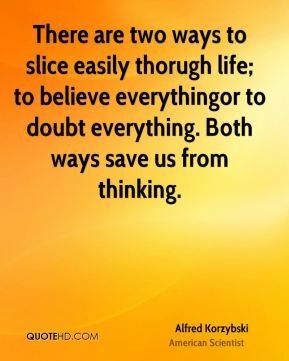 There are two ways to slice easily thorugh life; to believe everything or to doubt everything. 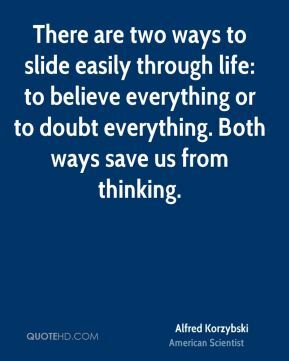 Both ways save us from thinking. 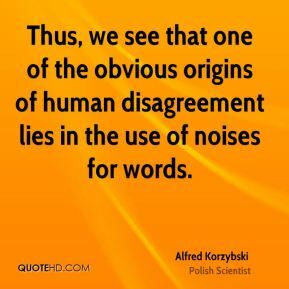 Thus, we see that one of the obvious origins of human disagreement lies in the use of noises for words. 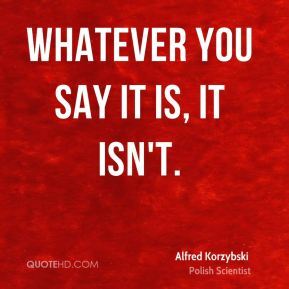 Whatever you say it is, it isn't. 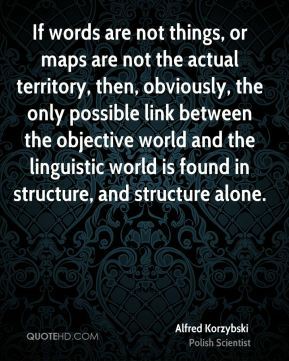 There are two ways to slice easily thorugh life; to believe everythingor to doubt everything. 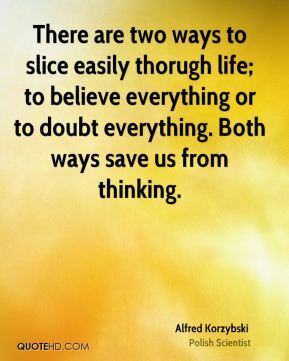 Both ways save us from thinking. 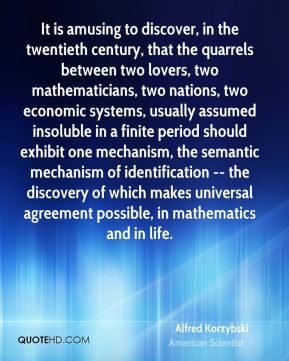 It is amusing to discover, in the twentieth century, that the quarrels between two lovers, two mathematicians, two nations, two economic systems, usually assumed insoluble in a finite period should exhibit one mechanism, the semantic mechanism of identification -- the discovery of which makes universal agreement possible, in mathematics and in life. 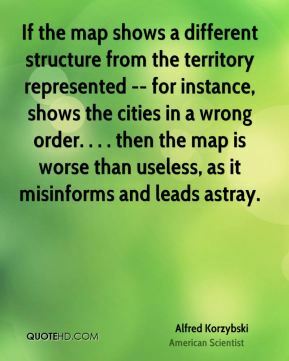 If the map shows a different structure from the territory represented -- for instance, shows the cities in a wrong order. . . . then the map is worse than useless, as it misinforms and leads astray. 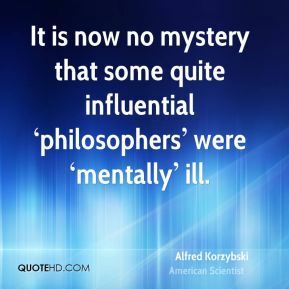 It is now no mystery that some quite influential philosophers were mentally ill.
Let us repeat the two crucial negative premises as established firmly by all human experience: (1) Words are not the things we are speaking about; and (2) There is no such thing as an object in absolute isolation. 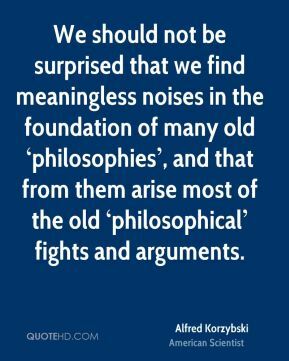 We should not be surprised that we find meaningless noises in the foundation of many old philosophies, and that from them arise most of the old philosophical fights and arguments. 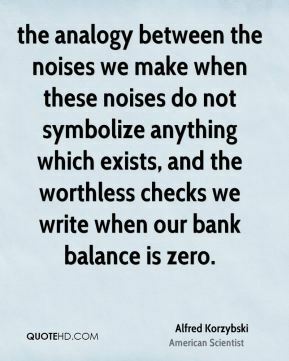 a few philosophers really do important work. 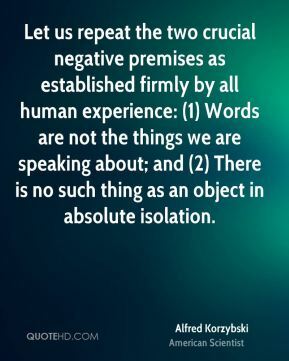 This applies to the so called critical philosophy and to the theory of knowledge or epistemology. 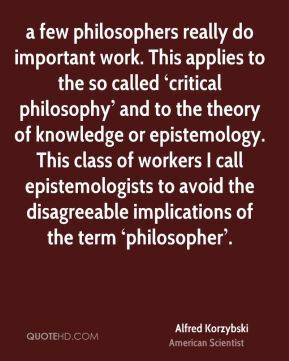 This class of workers I call epistemologists to avoid the disagreeable implications of the term philosopher. 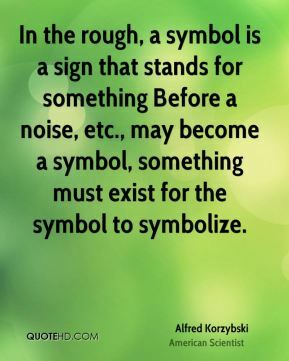 Before a noise, etc., may become a symbol, something must exist for the symbol to symbolize. 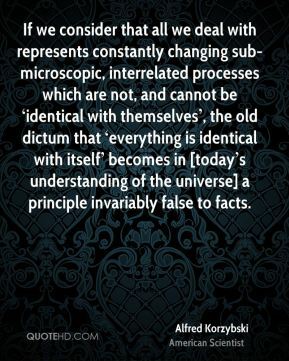 If we consider that all we deal with represents constantly changing sub-microscopic, interrelated processes which are not, and cannot be identical with themselves, the old dictum that everything is identical with itself becomes in [todays understanding of the universe] a principle invariably false to facts. 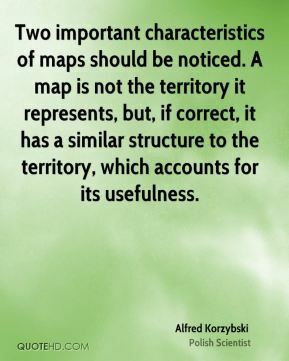 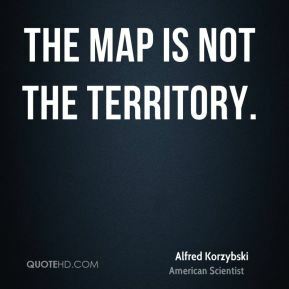 "The map is not the territory. 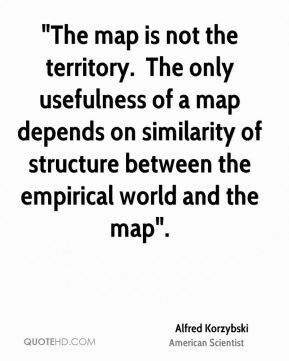 The affairs of man are conducted by our own, man-made rules and according to man-made theories. 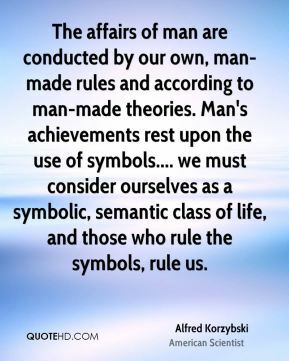 Man's achievements rest upon the use of symbols.... we must consider ourselves as a symbolic, semantic class of life, and those who rule the symbols, rule us. 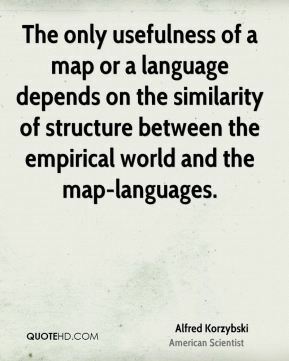 The only usefulness of a map or a language depends on the similarity of structure between the empirical world and the map-languages.